Donald credits his success to hard work, good mentorship, and being a ferocious reader. In today’s world, reading is a habit that is being diminished. But the wonderful thing about reading is that everyone can afford to do it. Donald encourages his team and those he mentors to become avid readers and learn from the success and failure of others. In this phase of his career, Donald has slowed down to put his insights on paper and share his perspective, advice, and experience with others. You can read his Insights on various business & leadership topics and you can also download any of his eBooks below. 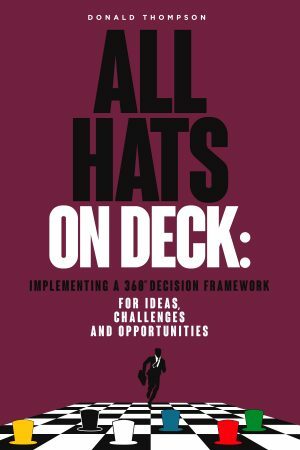 In All Hats On Deck, Donald shares his perspective on evaluating opportunities, addressing problems and running meetings effectively and efficiently. If you craving ways to be more productive, this book will provide you with the competitive edge you need to win in business. In Driving Diversity & Inclusion In The Workplace, Donald provides a guide for business leaders. 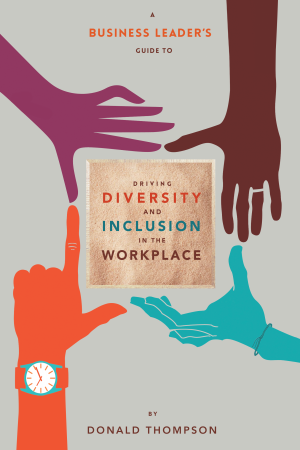 Whether you are a seasoned leader managing teams or a leader on the rise in your organization, this book provides real-world guidance on how to create a more inclusive workplace. Get up 30 minutes earlier and read something. It’s hard to have a negative outcome or a negative mindset when you’re reading positive material to start your day. Strategies for high performance can be found in Donald’s eBook series, Leadership Lessons. Through this series, Donald provides a guide for professionals and individuals responsible for managing multiple priorities and delivering results. Leadership Lessons will provide you with valuable thoughts and perspectives on how to develop positive behaviors, maximize your potential and obtain better results with less stress. You can download copies of each eBook for free and gain insights from Donald on Time Choices, The Power of Focus, and Delegation.